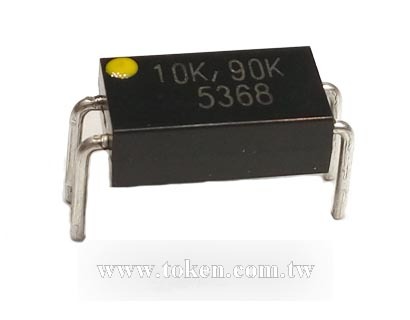 Token's (UPRND) high precision voltage divider networks sharpen the edge of application accuracy. The Precision Thin-Film Network technology provides a significant reduction of the resistive component's sensitivity to ambient temperature variations (TCR). Designers can now guarantee a high degree of stability and accuracy in fixed-resistor applications using solutions based on Token's revolutionary Network technology. This technology allows customer orientated products, designed to satisfy challenging and specific technical requirements. 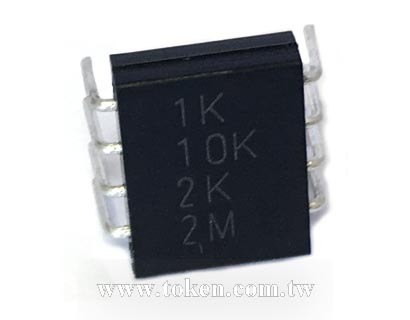 Precision Network Resistors UPRND Series meets Lead (Pb)-free and RoHS compliant. Known for providing design engineers with a comprehensive range of industrial-qualified resistive devices, Token Electronics has further expanded its precision product capabilities in Serial UPRNS and Parallel UPRND Series. 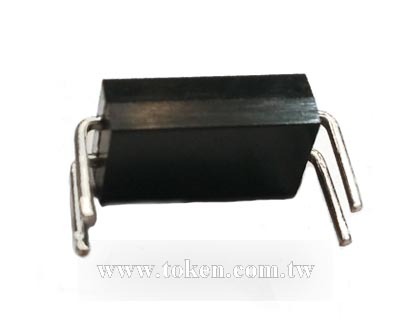 Providing design engineers with an economical power resistor with high quality performance, Token Electronics offers low cost industrial grade Parallel UPRND and Serial UPRNS Networks. 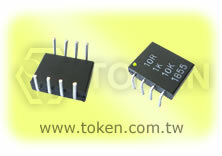 Token's UPRND/UPRNS Series are assembled by EE/RE 1/10 series to form a stable, high precision thin-film networks. 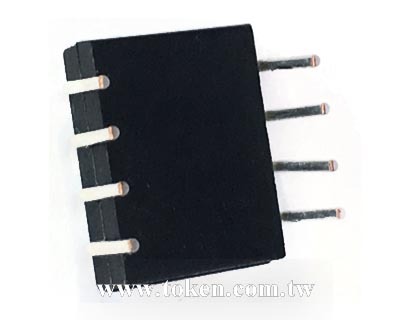 Characteristic of UPRND Series meet extreme low temperature coefficient. Parallel UPRND Series equate IRC, EBG Precision Devices with fast delivery and more competitive price. For non-standard technical requirements and special applications, please contact us. PDF download here Parallel Precision Resistor Network Voltage Divider (UPRND). Lead (Pb)-free and RoHS compliant. Precision tolerance tight to A2(±0.02%). Any value is available within resistance range. UPRND: Parallel dip type; UPRNS: Serial dip type. Metal film precision networks, excellent stability and reliability. Superior TCR narrowed to Absolute C7(±5 ppm/°C), Relative C10(±2 ppm/°C). Precision Amplifiers, Audio (High End Stereo Equipment). Military, airborne, High precision instrumentation, Industrial, Precision Bypass, Divider, Medical. Recording Equipment, Electron Microscopes, Electron Beam (EB) Applications Scanning, Test and Measurement Equipment. It can be required to Token's representatives if requirement beyonds above specifications. Absolute value means all factors (Tolerance and Temperature Coefficient) of network component element units are independent.